Good snacks. Spacious rooms. Impressive bathroom. Spacious bathroom. Property Location With a stay at Icloud Luxury Resort &amp; Hotel in Taichung (Xitun District), you'll be a 4-minute drive from Maple Garden Park and 7 minutes from Taichung Metropolitan Opera House. 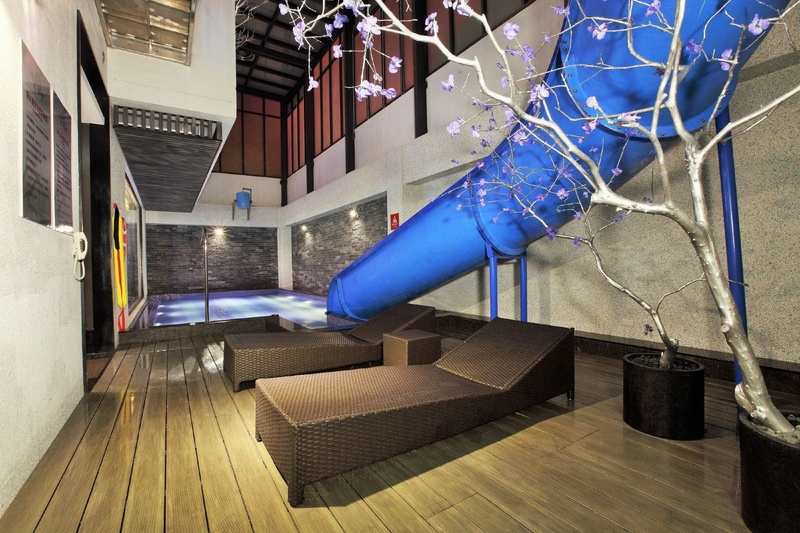 This 4-star hotel is 0.9 mi (1.5 km) from Fengjia Night Market and 2.8 mi (4.6 km) from Caowu Square.Rooms Make yourself at home in one of the 101 individually decorated guestrooms, featuring refrigerators and free minibar items. 58-inch flat-screen televisions with cable programming provide entertainment, while complimentary wired Internet access keeps you connected. Private bathrooms with separate bathtubs and showers feature jetted bathtubs and complimentary toiletries. Conveniences include phones, as well as complimentary newspapers and complimentary bottled water.Amenities Enjoy recreational amenities such as a fitness center and karaoke.Dining Enjoy a meal at iCloud Restaurant, or stay in and take advantage of the hotel's room service (during limited hours). Mingle with other guests at the complimentary reception, held daily. Wrap up your day with a drink at the bar/lounge. A complimentary buffet breakfast is served daily from 7 AM to 10:30 AM.Business, Other Amenities Featured amenities include complimentary wired Internet access, a business center, and express check-in. Event facilities at this hotel consist of conference space and a meeting room. A roundtrip airport shuttle is provided for a surcharge during limited hours, and free self parking is available onsite. Excellent wellness hotel. Close to restaurants and bars. Great room. Hotel staff helped us. Free shuttle bus. Free shuttle.